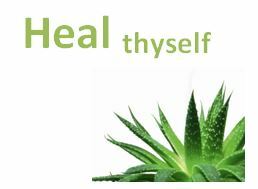 Heal Thyself Classes – An interactive course where participants are taught skills to identify their strengths; strengthen their weaknesses; share with classmates in discussion groups; learn relaxation/meditation; plus participate in nutrition and exercise sessions. 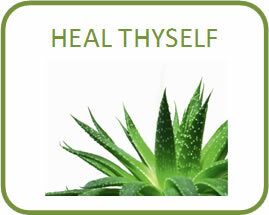 Heal Thyself Classes are facilitated by a life coach, nutritionist, and/or fitness expert. Diabetes Self-Management Education (DSME) ﻿ – A six-week interactive curriculum that empowers individuals with diabetes with the skills to manage their disease in order to prevent complications, e.g. ; heart disease or blindness, as well as live better with diabetes. Sessions are facilitated by certified Diabetes Empowerment Education Program (DEEP) Educators. The DEEP Curriculum covers topics that include diabetes risk factors, complications, nutrition, physical activity, use of the glucose meter and medications, building partnerships with a diabetes health care team, psychosocial effects of illness, problem-solving strategies, plus how to access community diabetes resources. Each session guides the participants to develop positive habits, i.e. ; eating healthy, managing stress, and staying motivated after program completion. Comprehensive Learning Environment for Achievable Results (CLEAR) Literacy – CLEAR Literacy classes are available for learners who are in need of improved functional and workplace literacy skills. CLEAR Literacy learners receive instruction in basic reading, writing and related skills from trained tutors. Our program model of cooperative learning and the relationship that is created through our course allows for an optimal learning environment for student-paced goal attainment. Included are adult basic education in pre-GED, GED, English as a Second Language, family literacy, life skills, and computer literacy. By providing services that perfect the English proficiency of adults in our programs, we are able to help learners become more self-sufficient, move toward personal, financial and familial goals, subsequently improve their quality of life. Revitalize Recovery – Revitalize Recovery is an alcohol/chemical abuse mentorship program that utilizes peer-to-peer support, as well as a holistic approach to encompass the emotional, physical, spiritual, and social being aspects of an individual. Often alcohol and/or drug addiction can make the individual feel unlovable. Although many of these individuals may be at different points in the process of recovering from the disease of addiction, each is expressing a need for some form of social support to help them through the process. Equally important, each is also a potential source of social support for other individuals suffering from substance abuse addiction. We foster relationships with other non-profit organizations to assist with this service. The Revitalize Recovery Program embodies a powerful message of hope and demonstrates empathy, caring, or concern to bolster a person’s self-esteem and confidence. A peer leader in stable recovery provides social support to a peer who is seeking help in establishing or maintaining his or her recovery. Both parties are helped by the interaction as the recovery of each is strengthened. Revitalize Recovery Mentors are people who have experienced drug and/or alcohol use plus recovery. Our mentors, who have been successful in the recovery process, help people develop and stay engaged in recovery in order to reduce the likelihood of relapse. Generally, mentors assist peers with tasks such as setting recovery goals, developing recovery action plans, and solving problems directly related to recovery; together with finding sober housing, making new friends, identifying their hobbies and activities, as well as improving one’s job skills. The relationship of the mentor to the peer receiving help is highly supportive, rather than directive. Revitalize Recovery Mentors help individuals in early recovery make new friends and build alternative social networks. Instead of a specific program or their own program, the mentor helps peers make choices about which recovery will work for them. Mentors also organize recovery-oriented activities and opportunities for peers to participate in team sports, family-centered holiday celebrations, in addition to payday get-togethers that are alcohol/drug-free. These activities provide a sense of acceptance and belonging to a group, as well as the opportunity to practice new social skills. Mentorship can effectively extend the reach of treatment beyond the clinical setting into the everyday environment of those seeking to achieve or sustain recovery. Stop IT Before IT Starts – The “IT” is chronic disease. This campaign promotes public awareness of prevention and early detection of chronic disease.